A Waterloo Region teacher has been charged amid allegations she faked having cancer and accepted money to obtain treatment for it. 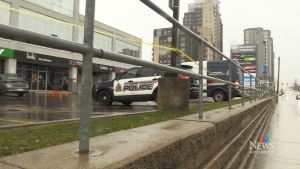 The Waterloo Regional Police Service arrested and charged Breanne McGuire, 31, of Kitchener, with fraud last October in connection with money raised for her cancer treatment. Information on the charges was released Wednesday. According to police, the charges stem from more than $14,000 she accepted to help fund experimental treatment for her alleged cancer. The special education teacher reportedly claimed to have a rare form of cancer called neuroblastoma, which is typically found in infants and children. The money was collected during a 2008 fundraiser organized by her friends and colleagues at Hespeler Public School in Cambridge. But a year later, police were called when co-workers began to suspect McGuire was lying about her condition. Waterloo Regional Police Insp. Greg Lamport says "Friends of the accused were suspicious of what had taken place, and so we launched an investigation into the claims that had happened." McGuire is now charged with theft over $5,000 and the case has gone before the provincial courts. It is in the pre-trial phase. Bruce Ritter, the defence lawyer for McGuire, says "No pleas have been set, no trial dates have been set. It's not been confirmed if it's a trial, it's not been confirmed if it's a plea, we are just sort of at mid-negotiation point." None of the co-workers contacted were willing to speak on camera, telling CTV News the school board asked them not to comment. Linda Fabi, director of education for the Waterloo Region District School Board, says "We are concerned for the teacher in question, but we are also concerned for the school community." McGuire's next court date is set for August 24. This is not the first time allegations have been made about someone faking cancer for money. Ashley Kirilow, 23, of Burlington, Ont. was sentenced to house arrest in connection with fraud charges, after she faked cancer and accepted thousands of dollars from supporters. Jessica Ann Leeder, 21, who admitted defrauding co-workers in Timmins, Ont. after pretending to have cancer, was also sentenced to house arrest. In a third case, 39-year-old Christopher Gordon is facing charges in Toronto after claiming to have terminal brain cancer and accepting $3,000 in donations. Breanne McGuire is expected to return to court on August 24, 2011. Shop owners have opened up their doors again in University Commons plaza after gun shots rang out early Friday morning.